Drift retardants can be a valuable tool to reduce the risk of off-target pesticide movement. While many options and premix formulations have been developed over the years, few are as cost effective and easy to use as DIRECT™ RS. 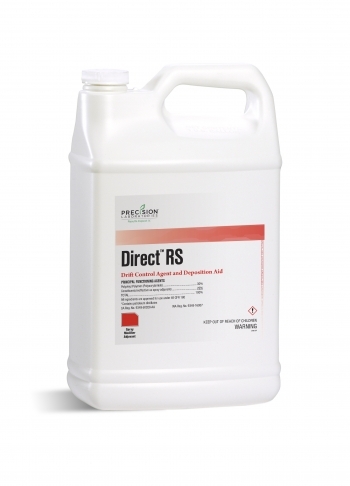 DIRECT RS chemically modiﬁes spray solution characteristics to reduce drift risk. It increases spray solution viscosity, making the solution more difﬁcult to shear and tear apart as it passes through the nozzle tip. This causes the ultra small spray particles to bind together into larger droplets, which are more capable of hitting their intended target and less likely to move off-target.